Empowering of infertile women socially and economically through “Empowering Berna” Project. 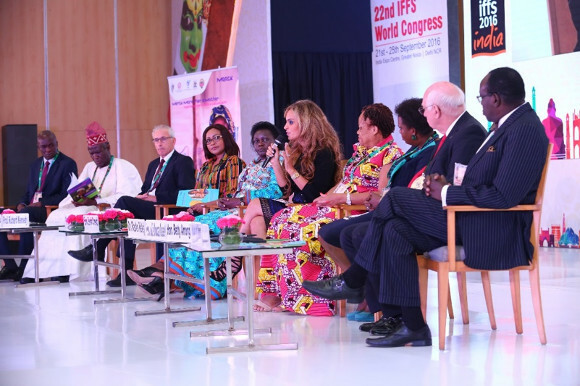 “Merck More than a Mother” in partnership with the International Federation of Fertility Societies- IFFS conducted a high level panel addressed infertility challenges and solutions in Africa at the opening ceremony of the World Congress of (IFFS) held in New Delhi, India. 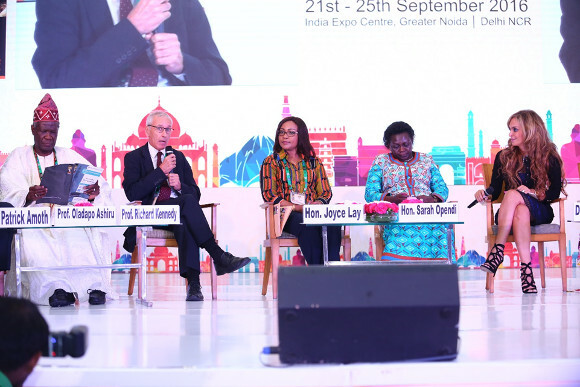 The high level panel of ministers, parliamentarians and global fertility experts from IFFS and Africa Fertility Society highlighted lack of access to regulated fertility care and awareness about infertility management and widespread stigma of infertile women as some of the key challenges in Africa. The panel called for increased efforts to improve access to regulated fertility care through the development of artificial reproductive therapy (ART) laws and regulations and to empower infertile women through access to education and information They also supported the training of African embryologists and discussed different interventions to remove the infertility stigma and create a culture shift and change of mindset. The high level panel including Hon. Sarah Opendi, Minister of Health, Uganda; Hon. Betty Amongi, Uganda’s Minister of Lands Housing and Urban Development and Chair of Uganda Women Parliamentarian Association; Hon. 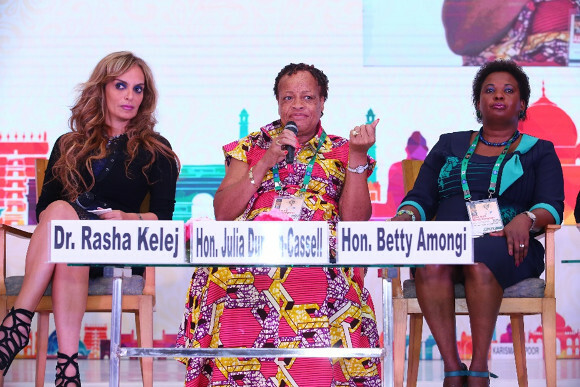 Julia Duncan-Cassell, Minister of Gender, Liberia; Hon. Joyce Lay, Member of Parliament, Kenya; Dr. Patrick Amoth, Senior Deputy Director of Medical Services, Ministry of Health, Kenya; Dr. Joe Leigh Simpson, Former President of International Federation of Fertility Societies (IFFS); Dr. Richard Kennedy, President of IFFS; Prof. Oladapo Ashiru, President of Africa Fertility Society; Dr. James Olobo-Lalobo, Vice-President of Africa Fertility Society, Uganda and Dr. Rasha Kelej, Chief Social Officer, Merck Healthcare supported the implementation of “Merck More than a Mother’s” strategic objectives and interventions across Africa. “The aim of “Merck More than a Mother” is to empower infertile women in Africa through improving access to education, information and health and change of mind-set and in case they cannot be treated the campaign is empowering them economically and socially through “Empowering Berna” Project so that they can be independent and re-build their own lives,” said Dr. Rasha Kelej, Chief Social Officer, Merck Healthcare. Hon. Sarah Opendi, the Minister of Health, Uganda. “In Uganda, between 15-20% of couples fail to conceive. The number of fertility clinics in the country to address this problem are few and expensive. 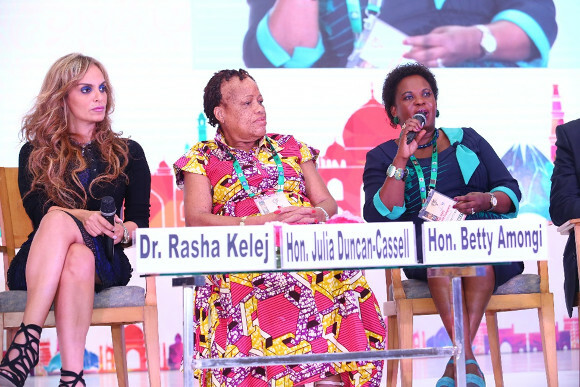 Together with “Merck More than a Mother” in Uganda we are creating awareness that infertility can be prevented and that to improve access, fertility care can be integrated into the already existing public reproductive healthcare services which will be cost effective as the infrastructure is already there. In addition we are building a hospital for Women Health where we will dedicate an IVF center to provide couples with affordable and effective treatment with the support of Merck to train the future staff,” said Hon. Sarah Opendi, the Minister of Health, Uganda. Hon. Joyce Lay, Member of Parliament, Kenya. “In our culture, a woman is always blamed for infertility. She carry’s the shame, embarrassment and tears in private. We need to create awareness by providing information and education on infertility so that both men and women can talk about it. “Merck More than a Mother” campaign has opened discussions on infertility and is talking about solutions and interventions available,” said Hon. Joyce Lay, Member of Parliament, Kenya. Hon. Betty Amongi Minister of Lands, Housing and Urban Development, Uganda. “In the African culture, marriage gives a woman the right to property and land. When they don’t bear children they are disinherited and when they go back home there is also nothing for them. Therefore, empowering infertile women economically and socially as “Merck More than a Mother” is doing is important because most of them have nowhere to go. This enables them to sustain themselves and with the information they are given they become change agents in their communities,” said Hon. Betty Amongi, Minister of Lands, Housing and Urban Development, Uganda. Prof. Joe Leigh Simpson, former President, IFFS. 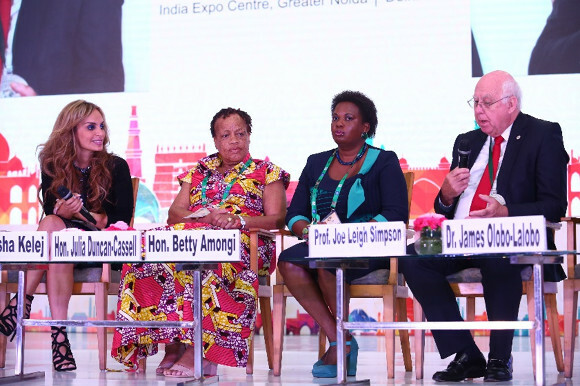 Prof. Joe Leigh Simpson, President of IFFS supported the need and importance of building fertility care capacity in Africa. 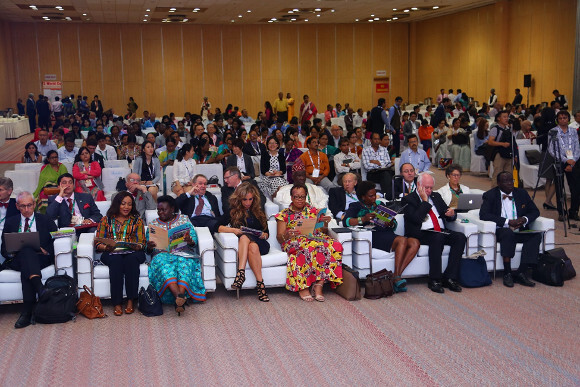 “We in high resource countries have an obligation to provide education, service and translate in the shortest period of time the advances that are being made in our labs to middle and low resource countries”. Prof Richard Kennedy, President, IFFS. 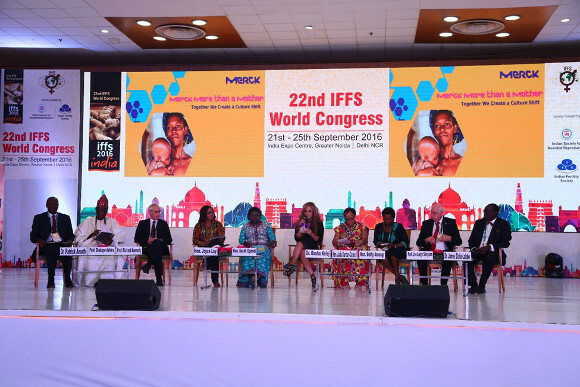 “IFFS has an important role to support “Merck More than a Mother”. 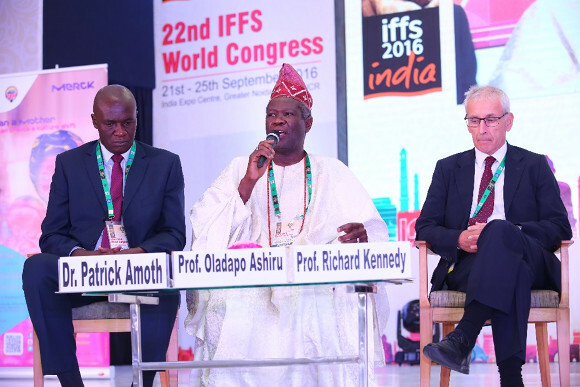 We agree that education is essential and that we will support the education and training initiatives necessary in Africa to develop capacity for infertility treatment,” said Prof Richard Kennedy, President elect of IFFS. Prof. Oladapo Ashiru, President Africa Fertility Society. “In Nigeria people who come into our clinics are afraid because they don’t want people to know they are taking fertility treatment. In most of these cases only women seek treatment for infertility and not the men. People prefer to seek help elsewhere and by the time they come for medical help it is too late. 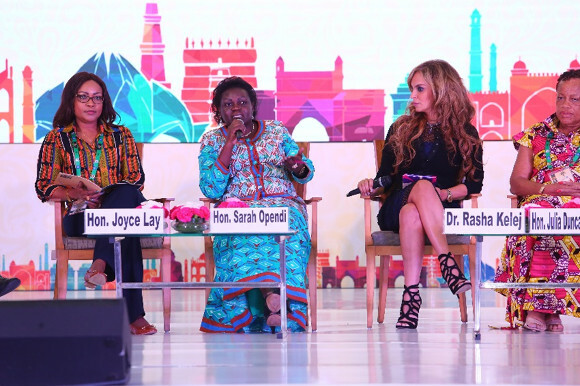 We are happy that “Merck More than a Mother” campaign is being launched in Nigeria and in Africa to create a culture shift that will enable people to seek proper treatment for infertility and that there is respect for womanhood than motherhood,” emphasized Prof. Oladapo Ashiru, President Africa Fertility Society. 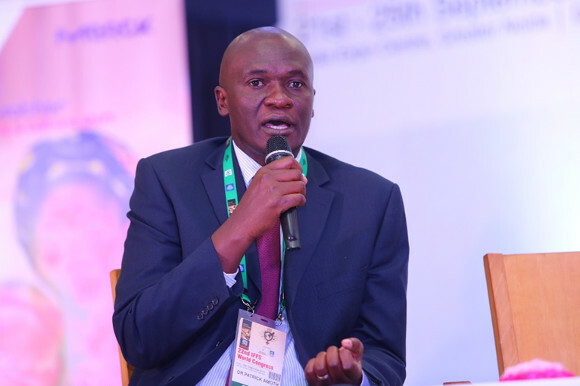 Dr. Patrick Amoth, Senior Deputy Director of Medical Services, Ministry of Health Kenya pledged support for the work that “Merck More than a Mother” is doing in Kenya. “The Ministry will play a key role in developing policy and guidelines to implement the ART law to ensure standards and regulations are maintained to protect couples seeking fertility treatment from exploitation,” he emphasized.